Silver Tansy isn't really a ground cover but it stays low, so if you plant a bunch of them together, they will look like ground cover. 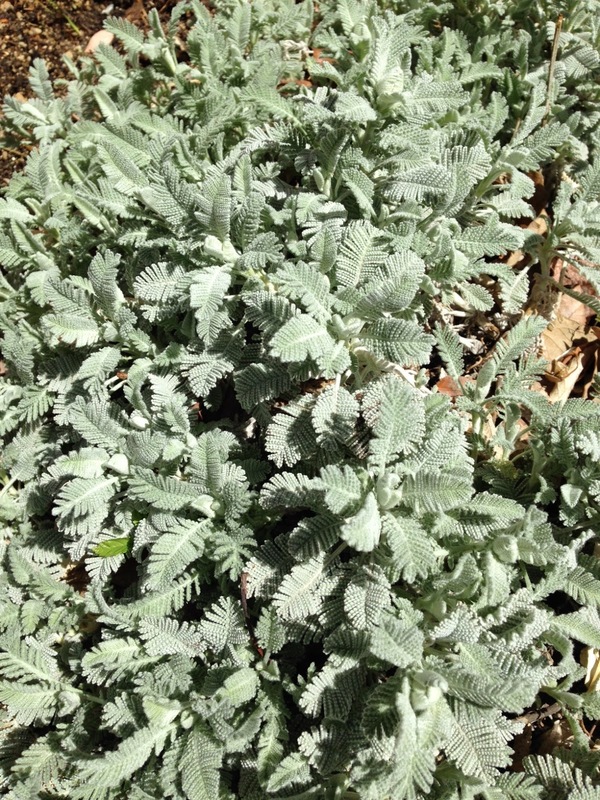 Native to Syria, Silver Tansy has beautiful blue/gray leaves and little yellow flowers. It grows about 12" tall and 24" wide. It is heat tolerant but moderate in it's water needs. You can plant it in full sun and it will need water about once a week during the hottest times of summer - June through August. This is a great plant for a water wise parking strip and will look great with other low-growing plants like Hardy Ice Plant.